Listen to two boys who can't get enough of the D. Adam and RJ left the bustling city of Chicago to live their dreams of being closer to Disney World. Check out this bi-weekly comedy podcast, and hear just how obsessed this dysfunctional couple can get when it comes to the wonderful, crazy, and fun world of Disney. #098 - The Dawning of the Age of Disney+! Disney+ has finally been announced with its pricing and lineup, and we read the Wikipedia article to talk it through! Find out what we're excited from its first three years of programming, try to listen to the patter of the rain with our microphones, and talk if Disney+ will win an Emmy! 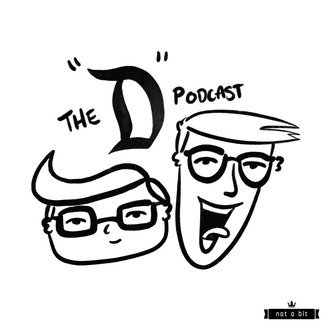 And as always, we close the show with what's making our Disney bones tingle with "What's the D?" 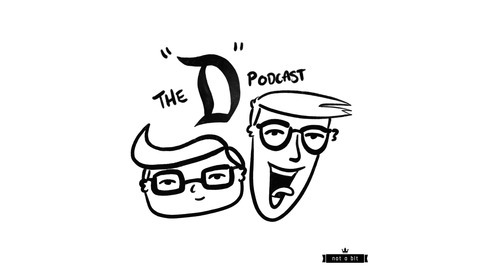 Join in on our fun at Instagram.com/TheDPodcast and Twitter.com/TheDPodcast! And the best way to support the show is by leaving us a rating and review on Apple Podcasts or Stitcher. #097 - Dumbo Was Definitely a Burton...with Jessi & Robbie! #096 - Higher, Further, Faster with Captain Marvel! #095 - Slide Into Our DMs Edition...with Casey & Miranda! #094 - Diana's World-Traveled Disney List!